Welcome to Day #13 of South American Chocolate Theme Weeks. 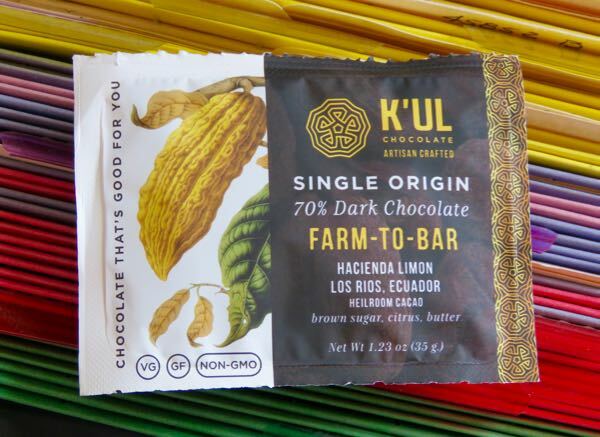 Today's Single Origin 70% Dark Chocolate Farm-to-Bar dark bar was from K'ul* Foods LLC (Minneapolis, MN). 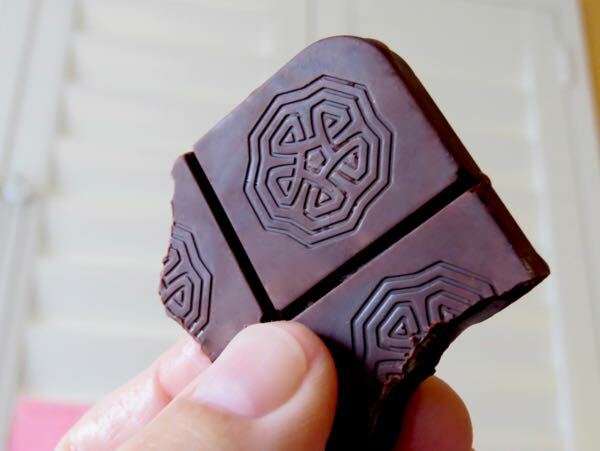 Head chocolate maker, Peter Kelsey, believes in creating simple, healthy food where every ingredient serves a purpose. One of their mottos: "Chocolate is not candy. Chocolate is food." Amen. The sealed package was designed to be suitable for bicyclists and outdoor sports enthusiasts. And when the package is opened, one is greeted with a robust, complex aroma, of dried fruit (dried mulberries), green plant fiber (fresh green stalks, green tea), roasted coffee/espresso and brown sugar. The bar was made of Nacional beans, a variety designated as an Heirloom bean (by the Fine Chocolate Industry Association). A handful of farms in Ecuador (including Hacienda Limon in Los Rios Province of Ecuador) apparently qualify for this designation. *The company name K'ul (pronounced "cool") was inspired by the Mayan word for energy. **The cacao farm, Hacienda Limon, is so named because the cacao "tastes a little like lemon..."